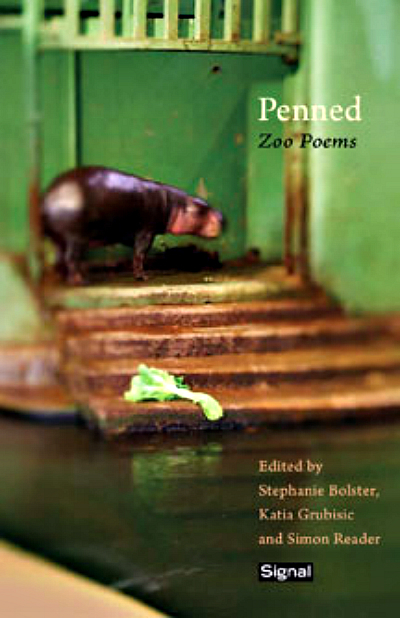 Penned: Zoo Poems gathers English-language poems from around the world, spanning more than a century of captivation with the worlds inside the cage and out. Our guides on this journey, at times nostalgic, haunting, whimsical and provocative, include eminent and emerging poets-Margaret Atwood, Elizabeth Bishop, Lorna Crozier, Countee Cullen, Emily Dickinson, Lawrence Ferlinghetti, Gerard Manley Hopkins, Ted Hughes, AA Milne, Marianne Moore, Al Purdy, AK Ramanujan, and Matthew Sweeney. The poems themselves are as rich and varied as the species they corral. We wander through the poems of this eclectic anthology as through a zoo, looking back at the animal, to paraphrase Randell Jarrell, like the animal.